Money is a hot topic in show business. Some say actors make too much. Others are obsessed with the rich and famous. Few really know how all that dough is divvied up. An actor's monetary value is a shadowy concoction of talent, audience allure, credentials, physical appearance, gender, and good ol' fashioned greed that's calculated according to who's doing the appraisal. In other words, it's complicated. Agents, managers, and the Screen Actors Guild all help govern the process a bit, making it less subjective today than in the past, but that doesn't mean all financial negotiations go swimmingly in Hollywood. By now, we've all heard about the gender wage gap, and we're aware that many women have demanded more money and received it. We can only assume that many male actors have bet on themselves and won as well, but what about those thespians who played hardball and lost? There are risks to asking for a raise. Everyone knows this. You could be denied and embarrassed, sure, but you might also lose your job. While this drastic reaction may be rare in Hollywood, it does happen. For the actors on this list, risking it all for a larger piece of the pie sent them home hungry. As the Three's Company cast and crew prepared for its fifth season in 1980, the optimism around the TV series was palpable. The sitcom had become one of the most popular shows on television, and two of its stars, Suzanne Somers and John Ritter, had just earned Golden Globe nominations. But Somers was not happy. Trying to capitalize on her popularity, she approached ABC executives and argued that she deserved more than the $30,000 she was making per episode. While the network agreed, reportedly offering Somers a $5,000-per-episode raise, Somers had a much larger number in mind. According to The Hollywood Reporter, the actress demanded $150,000 per episode. That would put her on par with other TV stars, including co-star Ritter. When the network declined her request, Somers refused to shoot and got fired for it. Under ideal circumstances, Somers might have won her fight. The problem, according to her husband, Alan Hamel, was that ABC allegedly felt pressured to nip a recent trend in the bud. 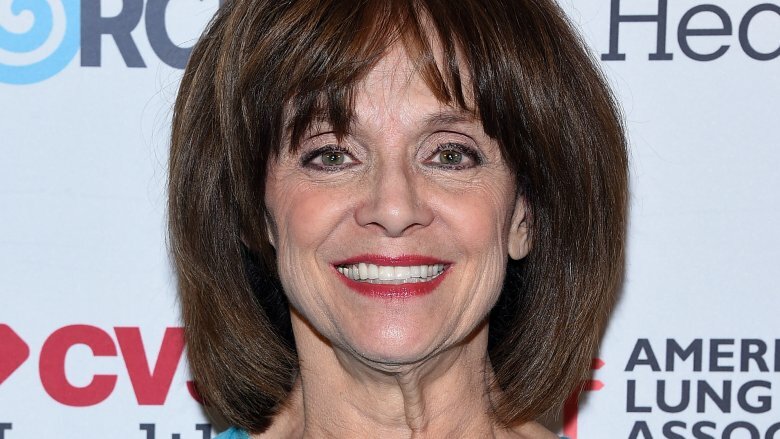 "I got a call from a friend who had connections high up at ABC and he said, 'They're going to hang a nun in the marketplace and the nun is Suzanne,'" Hamel told The Hollywood Reporter. "The network was willing to do this because earlier that year the women on Laverne & Shirley had gotten what they asked for and they wanted to put a stop to it." 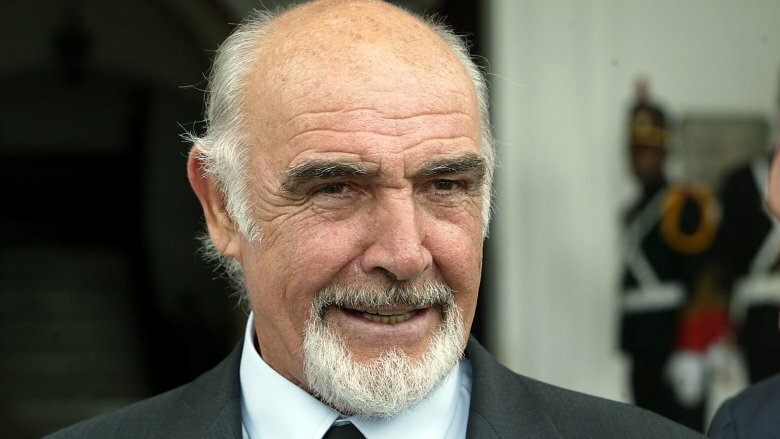 Sean Connery may have quit or he may have been let go. Either way he was replaced after You Only Live Twice. Even before making that film, Sean Connery made it known that he had grown bored with the James Bond franchise, but the outspoken star also took issue with the financials surrounding the films. According to Turner Classic Movies, Connery felt that he should be getting more of the franchise's gross profits. The leading man signed on to You Only Live Twice for $750,000, plus a 25 percent share of merchandising, according to the Express. Producers reportedly knew that wouldn't satisfy Connery next time, so they set out to find a new star. Enter George Lazenby. With Lazenby waiting in the wings as a possible successor, producers were able to negotiate with Connery from a position of strength. When it came time to create the next Bond film, On Her Majesty's Secret Service, Connery reportedly declared that he "would only return to the franchise for a sixth film if Bond rights owners Eon Productions paid him a million dollars plus a percentage of the film's gross." Unwilling to meet these demands, the producers reportedly hired Lazenby as the new Bond for $50,000. During the second season of Valerie, a sitcom starring Valerie Harper and a young Jason Bateman, there was hope in the air because show ratings were improving. With the series looking primed for a strong third season and Harper starring as the titular character, the actress decided to ask for a raise. According to People, she was contracted to make "$56,750 per episode by her third year, plus 10 percent of the show's adjusted gross profits," but she requested a new contract of $100,000 per episode, plus 35 percent of the profits. When the studio balked, Harper pulled out an old trick. Twelve years earlier, she was the star of Rhoda. Back then, when her raise request was denied, Harper refused to show up for work and got what she wanted. This time, however, the hold-out tactic was not as successful. The show's producers agreed to terms on a new contract worth $65,000 per episode, plus 12.5 percent of profits. This got Harper back on set, but not for long. After filming only one episode, she was fired. With the titular star gone, Valerie writers killed Harper's character, and the show was retitled Valerie's Family for Season 3. A season later, the show was renamed The Hogan Family. While the sitcom remained popular without its original star, Harper got the last laugh, successfully suing producers for wrongful dismissal. The Marcus Chong saga is a crazy story that somehow remains relatively under the radar. After the success of The Matrix, the film's creators set their sights on two sequels. 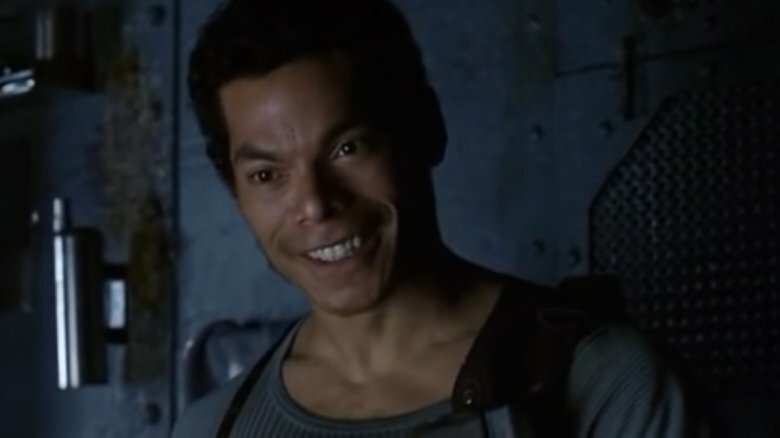 When the Wachowskis reached out to sign Chong, they reportedly offered him $250,000, but Chong wanted a million — figures recounted in the actor's low-quality, self-produced documentary, The Marcus Chong Story. Chong's lawyer allegedly delivered an ultimatum to the Wachowskis in a letter (via Entertainment Weekly): "Either the studio will meet his price ($500,000, plus bonuses and guarantees he'll be invited to press junkets and premieres) … or he'll do the movies for free." This somewhat strange negotiating tactic backfired. Chong was removed from the franchise. Afterward, the actor reportedly called Warner Bros. and engaged in a conversation with a fellow supposedly speaking on behalf of Andy Wachowski. That call catalyzed an intense amount of drama and confusion. Chong alleged that he received death threats and even tried to press charges, but at some point, Chong was supposedly taken into custody for making threats. The actor later unsuccessfully sued the production company and distributors of The Matrix. 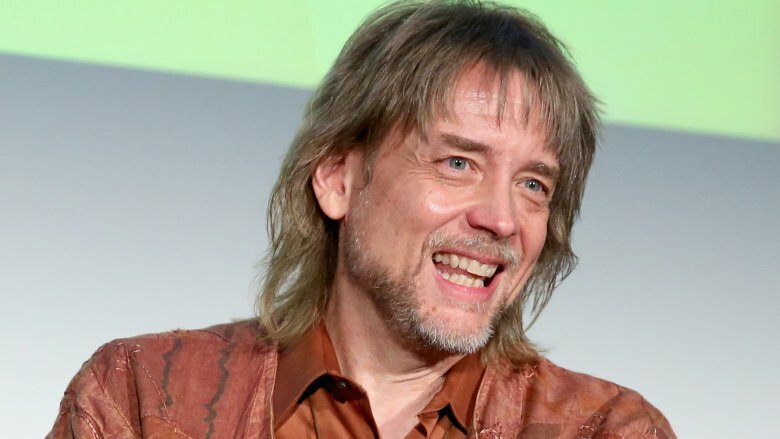 Though there are multiple reported reasons why Steve Whitmire, the voice and puppeteer behind Kermit the Frog, was fired by Disney, money was supposedly involved. In fact, one of the reasons given to Whitmire for his dismissal was for "refusing to work on a particular project," allegedly because of a contractual dispute. According to Whitmire in an interview with The Hollywood Reporter, he was simply a casualty of "a dispute on a contract classification between SAG-AFTRA and Disney Labor Relations." But the problems may go deeper than just one contract dispute. According to THR, Disney and The Muppets Studio claimed Whitmire's "way of negotiation delayed productions" and that these were "issues that went on for many years." A source told Gizmodo that Whitmire's contract demands go all the back to his days on Sesame Street, where he voiced Ernie and Kermit for years. "People think he left Sesame Street to focus on The Muppets," the insider said. "He was actually fired for demanding too much money." Hey, it's not easy being green. Though no one from the Family Matters cast or crew confirmed exactly why Jaimee Foxworth was let go from the show, there have long been rumors surrounding one of the strangest character removals in TV history. It all took place during the show's fourth season. Judy, the youngest daughter in the Winslow family, goes upstairs during one episode and never comes back down. According to the show's co-creator, William Bickley, Foxworth's removal was due to "budget considerations," but there's another long-standing rumor that Foxworth's mother might have been responsible for the actress' dismissal. According to an alleged and mysterious BET article, which has circulated in online forums for years and may be the cause of the rumor in the first place, "Foxworth believes her mother's demands for more money is what ultimately led to her contract not being renewed." Foxworth's mother, Gwynn Fox, was also her manager during this time, so the story is somewhat plausible. The actress' career never fully recovered from that early setback, but Foxworth has kept a sense of humor about the whole thing. When asked about her character, she told People, "I'm still up there in my closet, putting on my clothes." 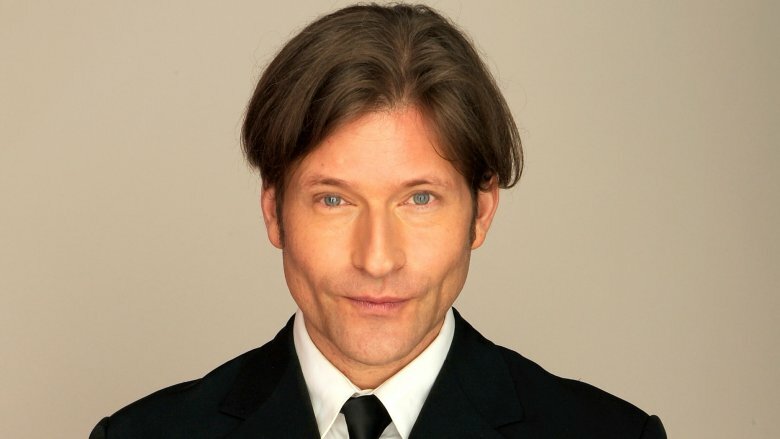 Even though Crispin Glover has changed his stance a couple of times about what really happened after Back to the Future and why he never returned for the sequel, one of his explanations is that the studio wouldn't meet his pay demands. According to Glover's interview with the AV Club, he was offered $150,000 to reprise his role as George McFly in the sequel, which was apparently far less than co-stars Tom Wilson and Lea Thompson. In Glover's opinion, producers were trying to force him out. He claims they wanted his character to hang upside down in the film to "make [him] physically uncomfortable" as "punishment" for questioning the script. Glover says he would have gone through that discomfort if he was properly compensated for it. When the actor tried to negotiate, his bosses allegedly dropped their offer even lower. "They went down $25,000!" Glover said. "It was very clear they didn't want me in the film." The Hollywood Reporter tells a slightly different story, suggesting Glover "didn't like the sequel's script, and so he threw out a $1 million demand to reprise the role." Glover claims that story was part of a smear campaign, insisting in his AV Club interview that the notion that he "asked for the same salary that Michael J. Fox was getting" is a "total fabrication." While it's difficult to say for sure if Terrence Howard was fired or pushed out from the Iron Man franchise, the result was the same. He was in the first Iron Man but wasn't in the second. Howard was reportedly ousted from the franchise for a number of reasons, but the primary driver was allegedly a battle over pay, reported Entertainment Weekly. According to the Business Insider, Howard earned the biggest payday on the set of Iron Man. 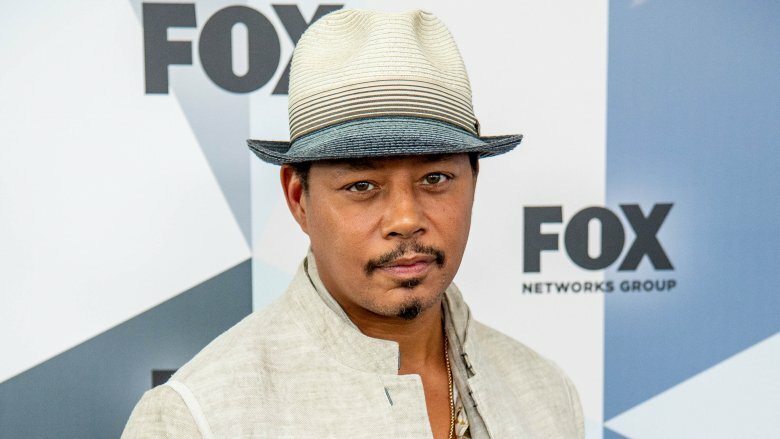 His $3.5 million paycheck ($4.5 million, according to Howard) was bigger than even the film's star, Robert Downey Jr., which was likely a combination of the risks associated with betting on Downey at that time and Howard's recent Oscar nomination for Hustle & Flow. Well, that was the last time Downey made less than his co-star. In fact, Downey went on to top Forbes' "World's Highest-Paid Actors" list for three straight years. To hear Howard tell it, the reason Downey earned so much in subsequent Iron Man films is because the studio borrowed from Peter to pay Paul or, rather, borrowed from Terrence to pay Robert. Howard claims that he was set to make $8 million for Iron Man 2. Instead, the studio allegedly reworked the contract and offered him only $1 million, planning to use the leftover cheddar to pay Downey. When Howard pushed back, the studio supposedly walked away and hired Don Cheadle instead. The behind-the-scenes drama on CSI: Crime Scene Investigation in 2004 was more intense than what was filmed for the show. 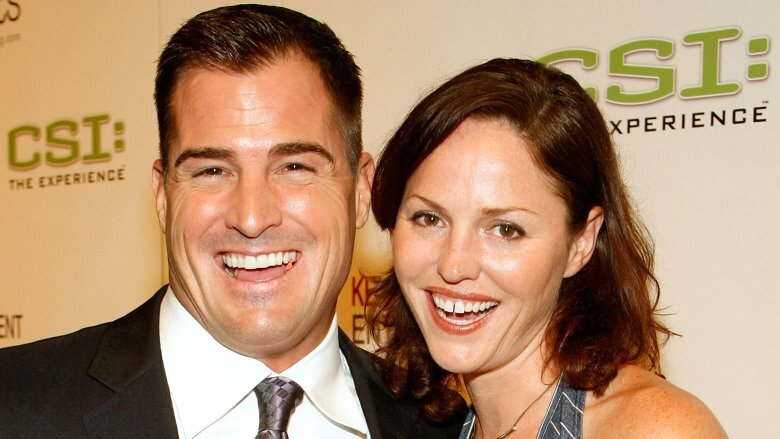 Two of the show's stars, Jorja Fox and George Eads, were both fired after they allegedly refused to report to work for shooting. According to People, both actors were unhappy with their proposed raises of about $20,000 per episode, which would have brought their total wages to about $120,000 per episode. When the actors held out for more, they were nixed. "There comes a point where we feel a contract is a contract," said CBS Co-President Leslie Moonves. "We all have to look out for the future of the network television business." There is a happy ending here: Eads and Fox were rehired shortly after they were fired after both actors asked for their jobs back, but there was a catch. Those raises that were initially offered were rescinded, meaning the actors negotiating tactics actually cost them about $1.76 million. That stings. But here's the big kicker: Eads claims he wasn't even playing hardball when he didn't show up to work. "They think it's about money, and it's not," he said. "I overslept." Lauren Cohan's character, Maggie Rhee, has been a staple on The Walking Dead for almost a decade, but in 2018, AMC had to make the difficult decision to either concede to the actress' contract demands or give her character the ax. In an interview with Entertainment Weekly, Cohan admitted that she was surprised by her negotiations, which made her think that maybe it was time to make an exit. "I took that, how baffled I was, and thought, 'Okay, well that's a sign. This is maybe just not a fit anymore,'" she told EW. "To feel like we weren't lining up in so many ways I just thought, 'Okay, well, maybe that means something.'" According to The Hollywood Reporter, Cohan started actively looking for new roles during this time and was "getting offers left and right." Ultimately, she ended up walking from The Walking Dead, but the decision to let her go was a big departure from the comic books upon which the series is based, reported Forbes. Breaking rank with the books is not unheard of but certainly unorthodox. — the series previously departed from the comic with the death of Carl Rhimes (Chandler Riggs). However, just like the living corpses on the show, Cohan's character could return in the future. Daniel Dae Kim and Grace Park were with Hawaii Five-0 since the very beginning of the rebooted CBS series in 2010. After a whopping seven years on the show, the pair, who play Chin Ho Kelly and Kono Kalakaua respectively, exited amidst a contract dispute in 2017. So what's the deal? Apparently, there was no deal. According to Variety, Kim and Park were searching for equal pay to stars Alex O'Loughlin and Scott Caan. CBS wouldn't budge and settled with a final offer that was reportedly 10 to 15 percent lower than O'Loughlin and Caan. Ultimately, CBS wrote Kim and Park off the show in Season 8. Their absence was addressed in the premiere, but the real-life drama might have been even more exciting. Though the network released glowing statements about the departing stars, Park was reportedly not thrilled when showrunner Peter M. Lenkov fired off a tweet suggesting she left the series to focus on family. "The whole situation was just a bit too charged for me," she told Deadline. "I let him know, 'That wasn't cool that you made a statement on my behalf.' … I know he did it to be helpful, and I care about Peter as a person, but I didn't leave for that reason." Lizzie McGuire was an icon for pre-teens of the early aughts — crimped hair and all. Unfortunately, all good things can't last (and you know, we eventually do grow up as much as we'd like to stay young forever). The real reason Paolo wasn't stinking up Lizzie McGuire 2 with his hacky singing boils down to a money dispute. 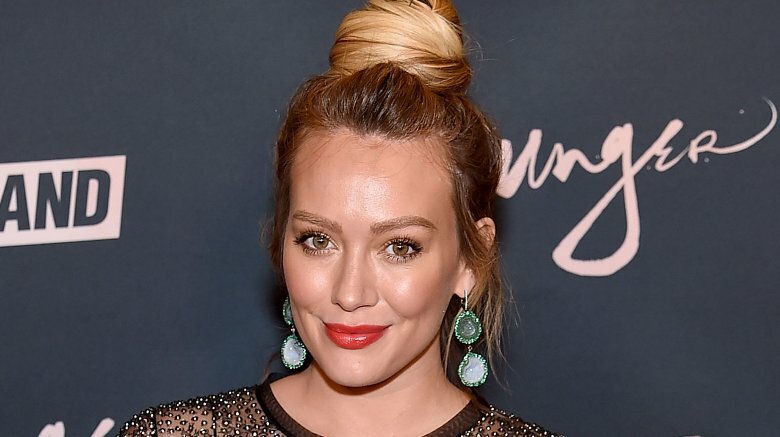 Without Hilary Duff, there's no Lizzie McGuire, and mama reportedly wanted more money. According to Entertainment Weekly, the Lizzie franchise came to a close when Duff's momager, Susan Duff, wouldn't accept Disney's deal for a sequel. The star was reportedly offered a $500,000 bonus for the second movie if the first reached $50 million. This was a huge increase from the $100,000 bonus Disney initially offered and part of a $4 million offer for the sequel "against 4% of the studio's gross for the film." Basically, Duff's Lizzie payday ballooned, but her mother wanted to receive the bonus immediately rather than waiting. Instead, Disney withdrew its deal completely and effectively ended the Lizzie McGuire franchise. "Disney thought they'd be able to bully us into accepting whatever offer they wanted to make, and they couldn't," Duff's mother said (via EW). "We walked away from a sequel. They walked away from a franchise."